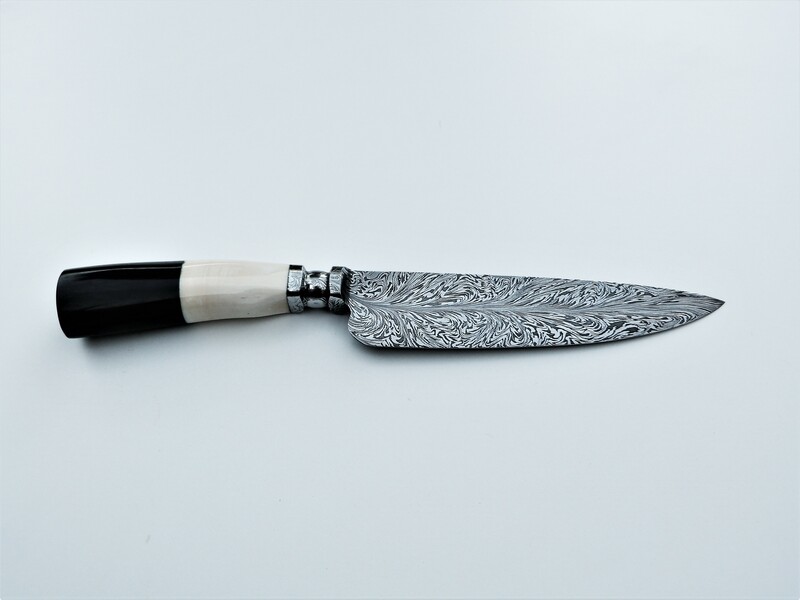 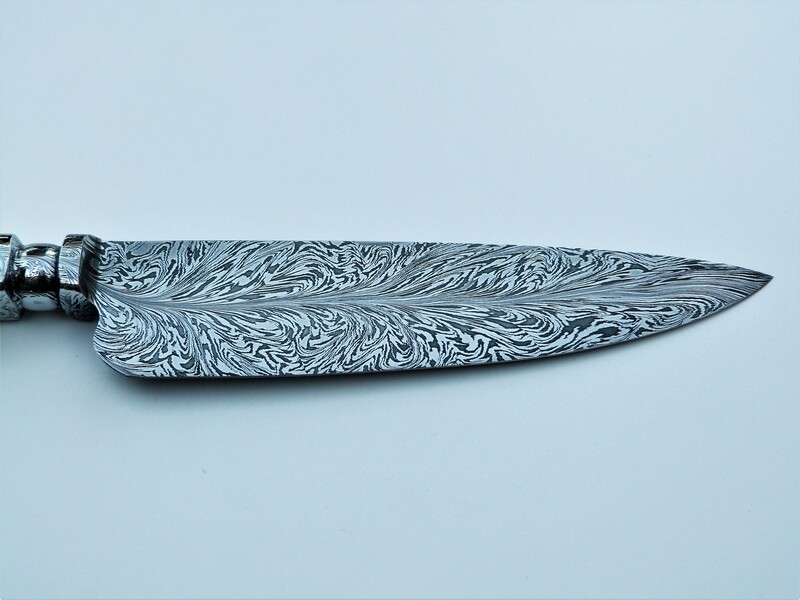 Criollo knife in damascus steel, feather pattern. 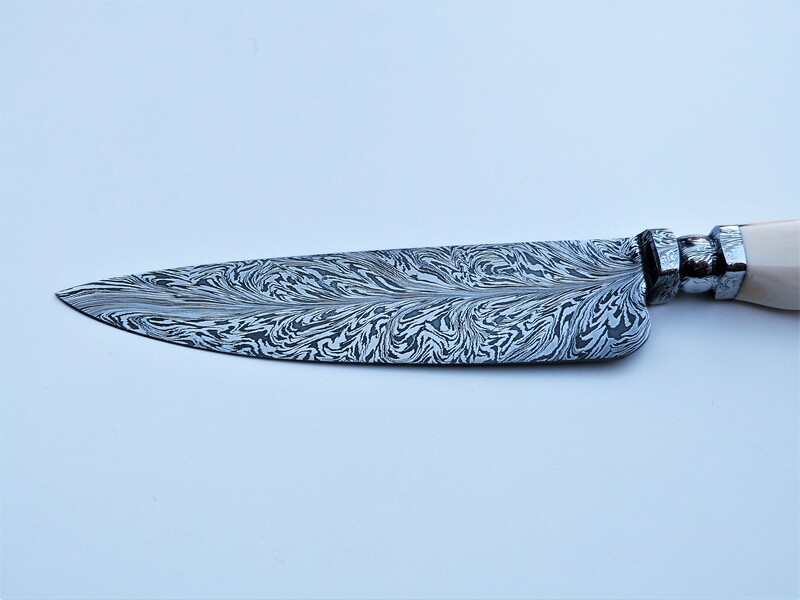 Made of 3 different steels and 300 sheets. 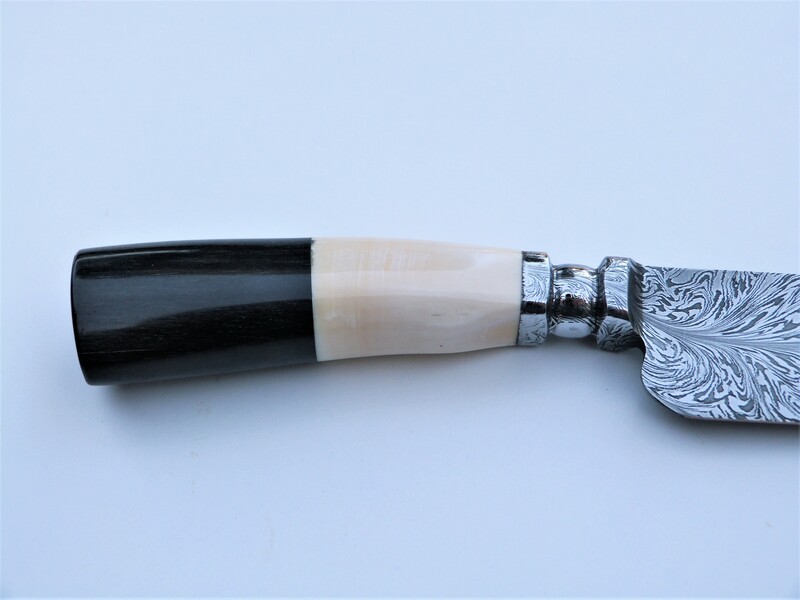 Black ebony and tusk handle.